Meet the 2018-2019 NUC Executive Committee – UNITY, Inc. Male Co-President | Joseph Davis: Hello there! My name is Joseph Davis, and I come from the Gila River Indian Community in southern Arizona; from the Akimel O’odham tribe. I am 23 years old and I currently work for Chipotle Mexican Grill. Ilove helping people pursue their passions. No matter what their goals might be. I think there are a lot of great things that Native youth are capable of and I want to be one of the people that inspires those voices. Female Co-President | SuSun Fisher | 19, is a proud member of the Confederated Tribes of Siletz Indians. She formerly served as the 2016-2017 Northwest Representative of the NUC Executive Committee. She is a student at The University of New Mexico where she hopes to obtain her Bachelor’s Degree in Political Science. Currently, Ms. Fisher resides in Albuquerque, New Mexico but is originally from Grand Ronde, Oregon. SuSun has previously served as Female Co President of the Siletz Tribal Youth Council. Her work with UNITY begin when she was 14, when she was named a UNITY “25 Under 25” award recipient. She furthered her leadership skills in 2014 as a White House Tribal Youth Ambassador and again in 2015 when she was named a UNITY Earth Ambassador. SuSun is a committed member to her community and plans on empowering and advocating for all native youth. Northwest Region |Rachel Arthur | 18, is an enrolled member of the Colville Tribe, but spent her 18 years living and participating within the Coeur d’Alene tribal community. She is currently in her 3rd year attending Eastern Washington University studying Business Administration with minors in Political Science and American Indian Studies. She wishes to graduate with her Bachelor’s degree in Business Administration to eventually go to law school to focus on Federal Indian Policies. In the future she wants to help fight for land right issues along with Native American rights. She values her youth council and currently sits as the President, leading the Coeur d’Alene Youth Council towards community greatness. Midwest Region | Collin Church: Bozho, Makons Itbwin Nijwaw ndezhnekas. Hello, my spirit name is “Young Bear That Looks Twice”. My english name is Collin Church and I currently reside in Hopkins, Michigan. I strive to be a voice for Native youth and to empower them to be the best that they can be in all aspects of life. I aspire to advocate for issues that Native youth face all throughout Indian country and am working towards helping provide a better tomorrow. As the Youth Specialist for the Gun Lake Tribe I hope to implement many programs that focus on education, substance abuse, suicide prevention, language, and culture. In the modern era we live in, youth aren’t always able to be raised within their culture. However, with a push to preserve our traditions and culture, we will be able to teach youth that were never given the opportunity. I strive to be an example for Native American and Alaska Native Youth. Over the years, I have been driven to provide the youth around me with more opportunities to participate in cultural teachings and express themselves culturally. I have made it a point to aid those around me and have devoted my time to create a better environment for future generations of our people. If you look into my background you’ll find I’ve served two terms on the Youth Commission for the National Congress of American Indians. In addition, I have also served on their National Native Youth Cabinet which allowed me to work with policy makers developing policies for youth to create a positive impact. Through my work with NCAI I was awarded the 2014 Youth Leadership Award presented by Ernie Stevens. I was also honored as part of UNITY’s Inaugural Class of 25 Under 25 Youth Leadership Awards. I have served 5 years on my Tribe’s Youth Council as Chairman. I am the founder of the National Indian Gaming Commission’s Sub-Committee on Youth leadership and the Co-Founder of the Inter-Tribal Michigan Youth Council. I currently serve on the Board for the Michigan Indian Education Council and the Gun Lake Tribe Cultural Advisory Board. In addition to all this, I am also a current Ambassador for We R Native, Center for Native American Youth, and Generation Indigenous. Great Plains Region | Jeffrey Curry III: I’m a 17 Year old Junior, about to be a Senior next year at St. Francis Indian School. I was born on March 14, 2001 (Pi Day) to my amazing parents Jeffrey Curry Jr.and Natasha. I’m Blessed to be an enrolled member of the Oglala Sioux Tribe. I’m apart of my schools student council, and I’ve previously served as our treasurer. I’ve also previously served as our Capitol Region treasurer, and a currently serve as the SDSCA State Board Treasurer, which is a high and prestigious honor to me. I live with my grandparents, and they mean the world to me. I love the outdoors, I just hate the sunburn that comes along with spending time outside. I love doing work, I’ve previously spent my past summers working construction with my dad before he passed away in April 2017. Everything I do is for him, to honor him and to make him proud up above. I will forever honor our name, as I am named after him. I’m a very social person, I’m a natural born hard worker. I love the color maroon or red. I previously had a cat named Hota, which means grey in Lakota. We had to put him down in April due to him having Cat Cancer. I’m apart of my schools Varsity Football and Basketball teams. I also used to play Golf in my younger years. In my free time, I play fortnite. I’m a 6 ft. 4 in. Giant friend that everyone loves to have. I love Dressing up. Like a Suit, Shirt and all that? That’s me. I have this big heart and I care for everyone. I make sure my friends are doing good before me. My grandpa is my role model, he’s been an educator for 25+ years, and he still continues to work hard. I’ve attended the GEARUP summer program the past 2 summers, and I’m bummed I will be unable to return this summer. But to conclude this Biography, UNITY is the best. I enjoyed going last summer and I’m excited to go again this summer. I love the people there, overall it’s the best thing anyone can attend. Southeast Region | Richard “Blake” Crook: I am a member of the Poarch Creek Indians of Atmore, Alabama. I’ve been attending UNITY since 2014 in Portland, Oregon. Through UNITY it has developed and created positive leadership skills that I now use daily. UNITY has motivated me to take leadership and establish great things. I have the wonderful privilege to work as afterschool and summer program Youth Counselor for our Tribal Boys and Girls Club and teach Language and Culture. Western Region | Anissa Garcia: I am twenty three years old and reside in Sacaton, Arizona. I am Akimel O’odham of the Gila River Indian Community and come from the ban (coyote) clan. I am a full time employee at the Huhugam Heritage Center as a Museum Aide I and a part time student at Chandler-Gilbert Community College. I am a traditional basket dancer with the Keli Akimel O’odham Hua Modk Cudkam as well as a toka (women’s traditional game) player for Onk Akimel Sivliki. Also, I am the 54th Miss Gila River and past member of the Akimel O’odham/Pee-Posh Youth Council for four years. I was the first Gila River Indian Community Utility Authority board intern of 2015-2016. I was selected in 2016 as one of the 25under25 recipients of the United National Indian Tribal Youth, Inc. I enjoy volunteering where I am able to do so, whether it’s in my own community or elsewhere. I surround myself with individuals that inspire and push me throughout life which are my family and friends. Some of my hobbies include but are not limited include; photography, reading, running, hiking, traveling, visiting museums, music, and collecting mugs. Northeast Region | Rachaya Lane-Jette: is a 19 year old senior at Martha’s Vineyard Regional High School who will be attending Anna Maria College in the fall. Ms.Lane-Jette is a enrolled member of the Wampanoag Tribe of Gay Head Aquinnah and currently serves on the Aquinnah Wampanoag Tribal Youth Council as the Community Liaison. Rachaya will be working toward her B.A in Health Science at Anna Maria College and currently is finishing up her EMT certification. Outside of her work in the tribal community, Rachaya is a active athlete and scholar at her local High School. She has received awards for being the captain of the cheerleading team, captain of the softball team and manager of the basketball team. This year she has also received the Unsung Hero Award, Martha’s Vineyard Fellowship, all while maintaining her grades to stay on the Honor Roll. Ms.Lane-Jette would like to take her degree and help give back to her community. Her passion comes from her late grandfather Vincent Jette and taking care of him while he was sick. Rachaya is a firm believer in giving back to the community and has helped out with the new year’s and christmas dinners in Boston, volunteered for the annual beach grass planting hosted by the tribes natural resource department, helps with serving hands, tribal family day, pow wow and much more. Rachaya is a strong leader within her tribal community and has the honor of representing them on various conferences, trainings, workshops and community events. Ms.Lane-Jette plans on becoming a pediatric physician so that she can continue to help the future generations! Rachaya has been attending UNITY for the past five years and has attended the White House Tribal Youth Gathering, Today’s Native Leaders Training in Boston, Ma and the annual Mid Year and National conferences. She is ready to move on to her next chapter in life and this organization by running for the NorthEast Area Representative to continue serving her community, youth and indian country! 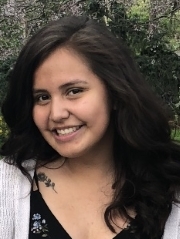 Rocky Mountain Region | ArriAnna Matt: I am eighteen years old and an enrolled member of the Confederated Salish and Kootenai Tribes of Montana. Beginning in preschool, I began my journey learning the Salish language and culture as a student at our local Salish immersion school, Nkwusm. Nkwusm is a K-8 school and after that, I attended Arlee High School. 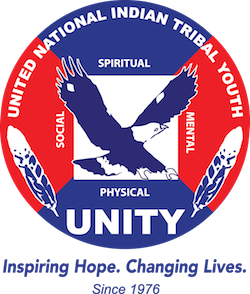 I became affiliated in the UNITY organization as a member of the Nkwucin Youth council in my sophomore year. After my first UNITY conference, my life was changed. I became president of our youth council and I am currently serving my second term. I took an environmental science class where I started a community garden. This provided me the opportunity to be a keynote speaker in San Diego for the 2017 Southwest Tribal Climate Change Summit. I also served as Vice President of our EAGLES (Environmental Advocates for Local and Ecological Sustainability). I hosted/organized two school wide assemblies using the techniques I have taken from UNITY. I have participated in 11 clubs, including F.Y.I (Flathead Youth Initiative), UNITY, Friends Forever Mentoring, Reasons to Live Native, Drama Club, EAGLES, M.B.I (Montana Behavioral Initiative), Indian Club, FCCLA (Family, Career and Community Leaders of America), JMG (Jobs for Montana Graduates), Reservation Ambassadors and have served one year on student council as our senior class representative. Culturally, I am a jingle dancer and a singer, traveling to dance, heal, and represent. I am currently representing the Kalispel Tribe of Indians as Miss Qlispe 2017-2018. I am highly active in preserving my language and cultural values. Throughout high school I have maintained an honor roll status while being an active member in my community. I recently graduated highschool with honors, but I have taken the youth representative position for the Suicide prevention board with Tribal Health. Additionally, I work as a part time substitute teacher at the Nkwusm language immersion school, giving back to where I began. This year I am working my second summer with the Youth Leadership program with Tribal Health where I interact with kids all day, promoting a healthy example for them. In the fall I will be attending Salish Kootenai College and to become a drug/alcohol counselor, then going into my bachelors in Social Work. My primary goal has and always will be to help our people through preserving our culture, language and traditional ways. Southern Plains Region | Brittany McKane | 22: is a member of the Muscogee (Creek) Nation as well as of Seminole ancestry. She attends the University of Oklahoma where she is Pre-Law, double majoring in Anthropology and Native American Studies, and minoring in Social Justice. Brittany currently serves as the Southern Plains Representative for the National UNITY Council, as well as Female Co-President for Many Nations Youth Council. She has served in many leadership positions, such as President of Gamma Delta Pi, OU’s Native American sorority, as well as sitting on the Executive Committee of the American Indian Student Association at OU. She is dedicated to the betterment of Indian Country through these various roles and positions. Pacific Region | Tashoni Morales | 19: is an enrolled member of the Santa Rosa Rancheria Tachi-Yokut Tribe and a descendent of the Te-Moak Band of Western Shoshone. Tashoni is currently a student at Arizona State University studying Public Service Public Policy with the concentration in American Indian Studies. In her first year at ASU she has achieved great honors by making the Dean’s List. She is very involved with the American Indian Initiatives office at ASU from helping out in the office to sitting on student panels and assisting with campus tours. Tashoni has grown not only as a student but as a young leader as well. She was elected as the Pacific Regional Representative of 2017-2018 where she was provided the resources to network and build relationships with her fellow tribes and youth councils within her region. Holding the position as the Pacific Region Rep, the collaboration with the AII office at ASU has allowed Tashoni to recrute many youth from her region to apply for ASU and encourage them to strive for higher education. With doing so, many youth were able to create a relationship with staff members the same way Tashoni had done at UNITY OKC ’16. Tashoni is also very active within the Unity office from advertising upcoming events with Unity to traveling to different conferences promoting her region along with Wellness Warriors. Ms. Morales is passionate about the betterment of her community and region as a whole. Promoting a drug and alcohol free lifestyle is important to her and she believes that the more we educate and lead by the example of living a healthy lifestyle, the stronger our next generations will come to be. The relationships between the California tribes is a bond that Tashoni hopes will grow stronger and she is determined to find the many ways in order to do so. Tashoni will be attending an upcoming training where she will become certified in Tribal Leadership and Governance, and hopes to inturn, share and implement that knowledge by creating a greater network and potential trainings for the youth in her region. With creating a stronger region Tashoni had met her goal of bringing a youth representative from Hawaii to attend the National Conference held in San Diego! Ms. Morales’ main goal of her term is to create a strong Pacific Region and have an equal representation from both California and Hawaii. Southwest Region | Kayla Toledo: Kayla is from the Pueblo of Jemez, New Mexico. She is seventeen and will be a senior at the Santa Fe Indian School (SFIS). Kayla has attended four UNITY Conferences that have inspired her to take healthy risks, pursue her interests and deepened the connection to her community while advancing her educational goals. Some of her interests include volunteering, participating in traditional dances and community activities, and traveling. While in high school she participates in dual credit classes and has been an honor student since she was in 7th grade. Kayla has a head start in her Seniors Honors Project at the SFIS where she is helping the community early child care program known as the Walatowa Head Start with their language immersion program, and also encouraging other community entities to develop language immersion programs to help our younger generation to learn the Towa language the best they can. Kayla has faced many challenges in her academic and personal life, but none have stopped her from pursuing her goals because like her ancestors before her, she is resilient. Along with Kayla’s other community involvements she is also collaborating with community leaders to build playgrounds and basketball courts for children to play. She lives life by a quote “Treat people how u would want to be treated” . When Kayla is out of high school she would like to go into business management and use the knowledge garnered to help her community in other capacities. She loves to be out and keep busy because she knows there is a lot she can do in this world or in her community to have a better environment for people now and later generations.